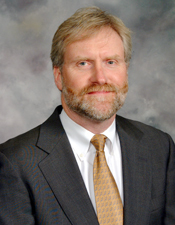 David C. Berry is Professor of Law and Director, Graduate Program in Intellectual Property Law, at Thomas M. Cooley Law School in Auburn Hills, Michigan. He gradated from the University of Michigan (1982) and the University of Michigan Law School (1987). From 1988 to 2002, he practiced and was a partner in the Boston, Massachusetts law firm Testa, Hurwitz & Thibeault, LLP. He is admitted to practice in the Commonwealth of Massachusetts, State of Michigan, District of Massachusetts, Eastern District of Michigan, First Circuit, and Federal Circuit. He is a registered patent attorney.